Do you know a teacher who wants to seriously inspire his or her students to learn about sustainability? 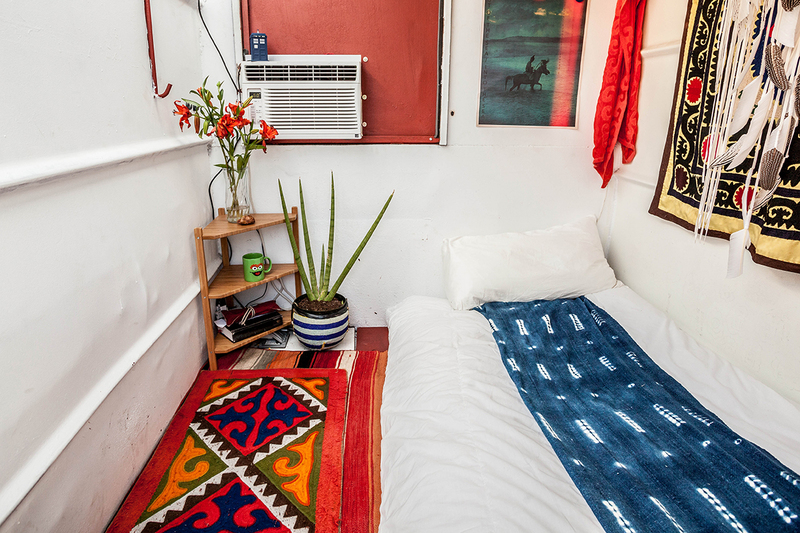 Nothing says commitment quite like staying in our dumpster home for a few nights! Educators can spend a night (or more!) 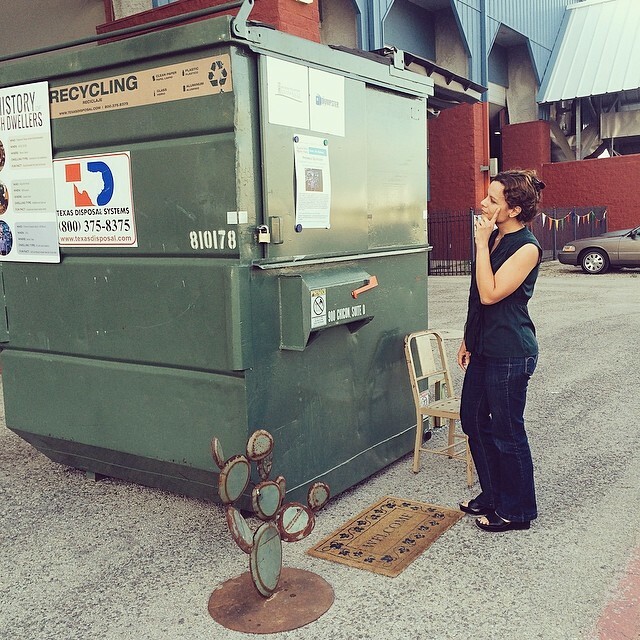 in the dumpster through our Residency Program. We will help you plan a series of sustainability lessons around your stay. Apply (or nominate your favorite teacher) here. Our sustainability curriculum for 5th and 7th grade science asks students to re-think familiar topics like Food, Water, Energy, Air, and Waste from the unconventional and engaging dumpster perspective. 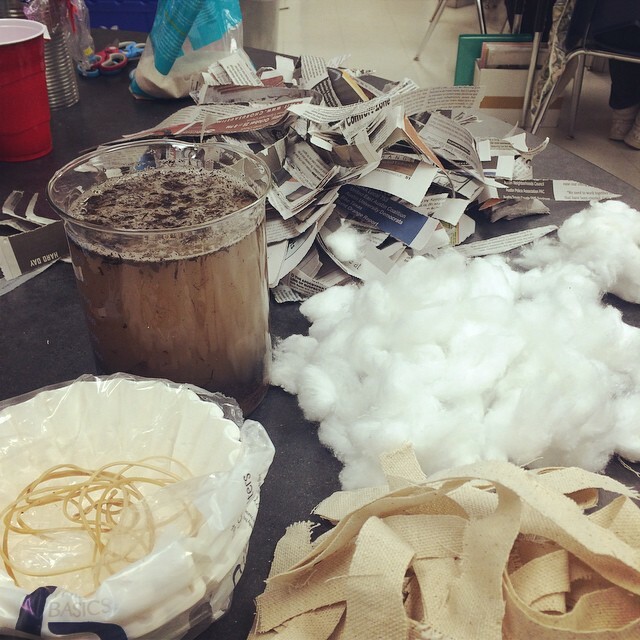 Hands-on investigations build scientific skills while students apply key STEM concepts to the challenges of dumpster life: How can we clean the Dumpster’s water supply? Can the Dumpster go zero energy? Why does waste matter? And ultimately, how much impact does one home have? Aligned to TEKS and NGSS. As we build the dumpster into the ultimate sustainable home, we’ll need the best ideas students and teachers can give us! 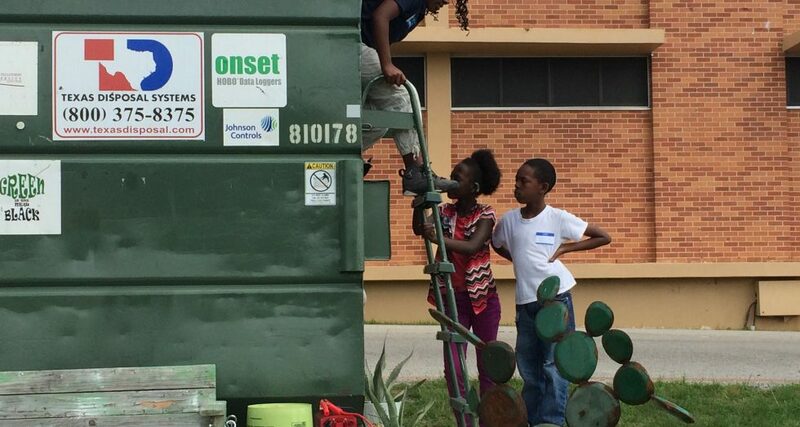 Partners like Skillpoint Alliance and Sol Design Lab will guide students through a design process to build workable dumpster tech that will go live on or in the dumpster itself. Stay tuned for progress or contact us if you have a project proposal you would like your group to tackle. I am an elementary Art teacher and I am interested in education through Art. My campus is interested in how you will create a healthy psychological and physical environment for yourself with color, scent, light and visual stimulation. We would like to help with ideas–my kids are very creative! Let us know how we can help. Creating a healthy and visually stimulating space is definitely on our list of to-dos. Dumpster homes need art and color too! We are really encouraging collaboration, so if your class wants to get involved please shoot me an email at clara@dumpsterproject.org OR info@dumpsterproject.org. May I suggest parking it under a leafy tree? And NOT on a paved parking lot? This will help a great deal with not only heat problems, but will also provide a more healthy and inspiring surrounding to escape to when a breath of fresh air is needed. A window would help, as well! We are in fact hoping to site the dumpster underneath a tree. The shade should help in the climate control department. The dumpster also has a slide-able “window” on each side where the trash bags are usually deposited.